"Without you what does my life amount to?" Sorry, no matches on eBay for "Jitterbug Waltz Art Tatum". 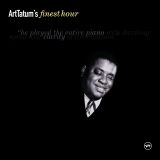 Sorry, no matches on iTunes for "Jitterbug Waltz Art Tatum".